Emily Wexler of Cozy with a photo of the gas station once housed in Cozy’s location. October 2018 marks the 20th month we’ve been celebrating our Ninth Street business owners with the Merchant of the Month feature. Even in that relatively short time, the landscape of Ninth Street has changed. We’ve said goodbye to the eclectic and creative Cozy and Ninth Street’s toy store, The Playhouse. We’ll also miss the sweet treats at The Pie Hole. But we’re happy to report that we’ve also welcomed a few amazing new vendors to the street. Janet Lee’s Zen Fish has become a lunch and dinner staple on Ninth Street, and Hometown Apparel is the city’s new go-to spot for all things Durham. We’re also thrilled to count Alpaca Chicken, Pincho Loco, Snow Factory, and Branches Community School among our new neighbors. Though the changes of the past few years have been significant, especially when you include the addition of the Harris Teeter complex (complete with the delicious Juju and Burger Bach!) and several new apartment communities, the Ninth Street community knows how to take change in stride. After all, this strip of small businesses was once a functioning mill town, with just a barber, a couple of grocers, a drugstore, and a bootmaker serving the needs of millworkers and their families. The Erwin Cotton Mill, which produced muslin tobacco bags and denim, didn’t close its doors until 1986. That means that several of Ninth Street’s longest-standing businesses can still remember the mill days, including The Regulator Bookshop, Barnes Supply, and Vaguely Reminiscent. The iconic McDonald’s drug store and soda fountain, fondly remembered by many Durhamites, was here during the mill days too, but shut its doors for good in 2005. Its closing was sad for many in the Ninth Street community and yet, the history of that old mill town is alive on Ninth Street. Wavelengths Salon, for example, was once the union hall for Erwin Mill Workers (the proof is in the original tin ceilings!). That kind of juxtaposition — old world meets new — is common on Ninth Street. The working class spirit of the mill and the vibrant community that surrounded it is still strong in this thriving Durham district. We’re eclectic but down-to-earth, rooted but not afraid to grow. The Ninth Street Merchants Association is proud to be helping guide the growth of our neighborhood. Our mission as an organization is to promote economic growth while creating an inclusive, unique, and community oriented shopping experience in our historic district. As we are largely comprised of locally owned businesses, we're working together to sustain and improve the health of our community, support fellow businesses, and provide a welcoming environment for all. 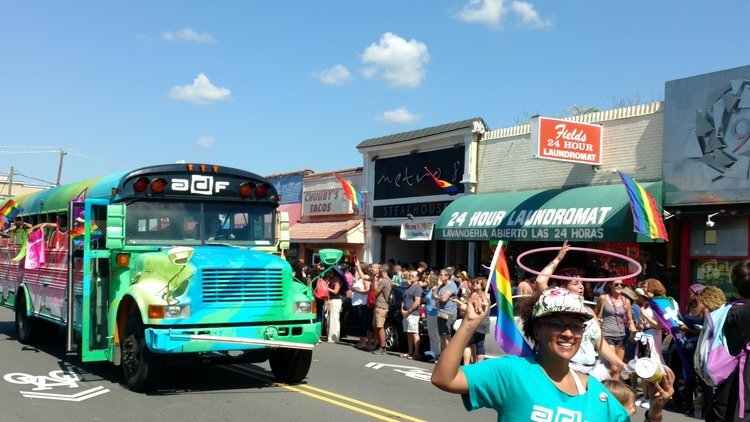 Just last weekend, we were proud to host the Pride Parade, an annual Ninth Street tradition that reflects our belief in diversity, inclusivity, and building community. 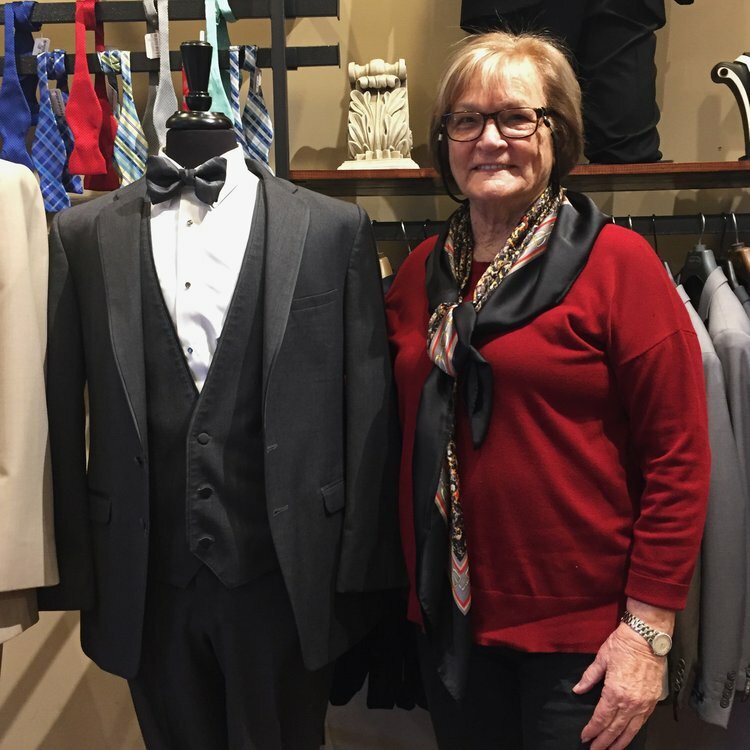 Jean Lorenzo, owner of Bernard’s Formalwear and the first merchant featured in the Merchant of the Month series. We welcome people of all kinds to our neighborhood and we welcome merchants of all kinds to our association. Being an official member of this community not only makes our district stronger, it comes with benefits. Those benefits include a link to your website on our Discover 9th Street page, community marketing, group social media on Facebook and Instagram, a Merchant of the Month spotlight on our website featuring you and your business, and the opportunity to be involved in street wide events and promotions. Be on the lookout for the Ninth Street Sidewalk Sale on Saturday, October 13th and our neighborhood Trick or Treat on Halloween! And keep an eye on our Events Calendar for all future events. Want to learn more about the Ninth Street Merchant Association? Email Ninth Street merchants Katie Westermann (katie@oneworldmarket.info) of One World Market or Daryn O’Shea (powerbrixx@gmail.com) of The Computer Cellar.